Odysseus Finn is a vessel that has been carefully composed over the past two years by Michael McQuilken and David Van Witt to employ an epic mythos in its musical storytelling of revolutionary ideas, (even simply that real transformation is possible; or to remember that before we seemingly emerged separate, we were merged). If fire could blaze in the cold dark of space, their harmonies would signal out like ceremonial smoke. Their words are directive and hopeful; generational apathy is displaced by intention. Creation is beautiful when it flashes quick and bright, but a bigger bang is more likely when it burns slow-fanned, and like a steady strum, is hypnotic, its ember sustaining god-sized gaze until the tension of attention bursts them both. A grander merging occurs in the event decay. An easily misunderstood spiritual supernova – if Star Wars were a record label, Odysseus Finn would be Darth Vader’s band. 21 June 2016, Sofia, Neu!Berlin (18 Sultan tepe str. 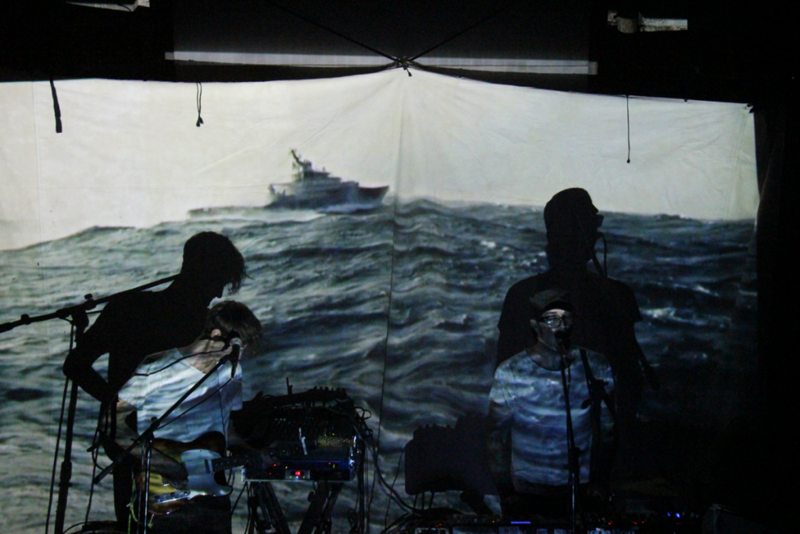 ), 19:30 h, entrance 10 leva. Born in Brussels, Belgium to a German/American mother and a Dutch father, Van Witt moved through three countries and ten cities before making the road his home as Sidewalk Dave in 2009. After touring North America for five years, releasing four albums, starring and directing two short films, producing all his own music videos, and gaining a stalwart following, he finally paused to build a state-of-the-art recording studio with David Groener Jr in Brooklyn, NY. A modern day renaissance man- a director, inventor, writer, and musician. McQuilken played drums for, and art-directed the Amanda Palmer & the Grand Theft Orchestra world tour, and has released several albums as The Few Moments. He lives in Brooklyn, NY where he directs music videos, and has recently been commissioned to score two new musicals by The Foundry Theatre and ARS NOVA. 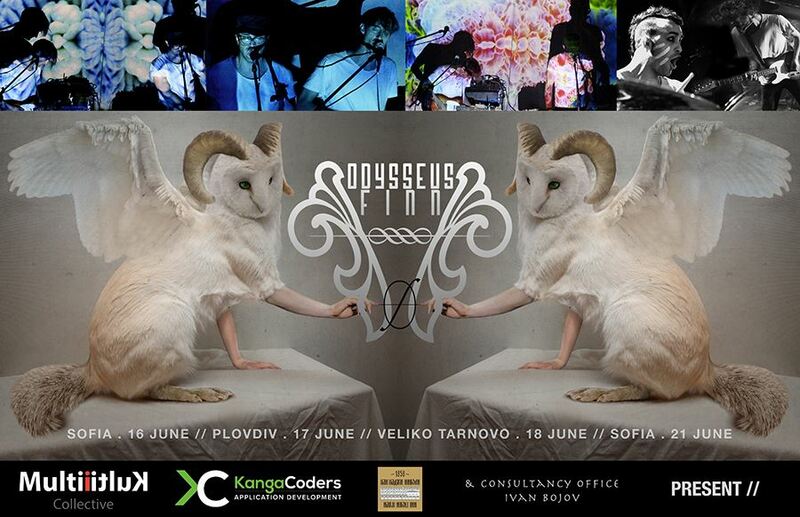 Odysseus Finn’s concerts in Bulgaria are organized by the Multi Kulti Collective with the kind support of KangaCoders, Consultancy Office Ivan Bojov and Hadji Nikoli Inn – Veliko Tarnovo.